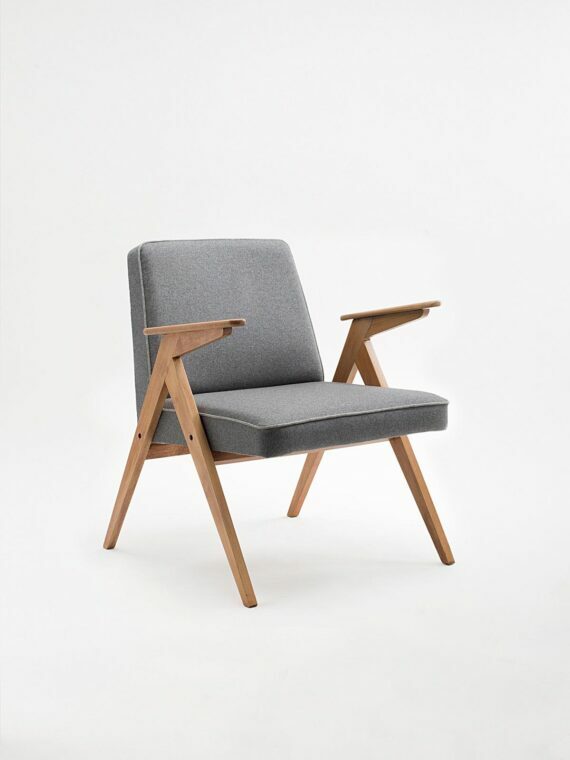 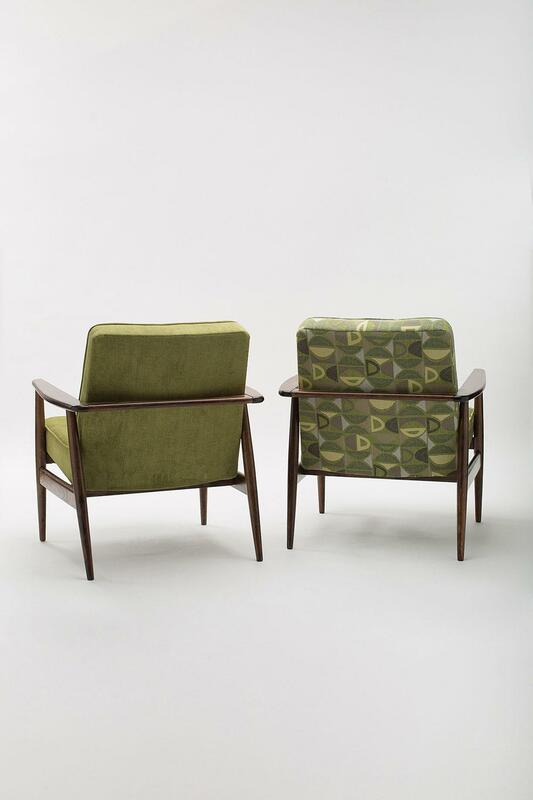 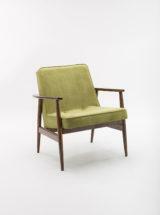 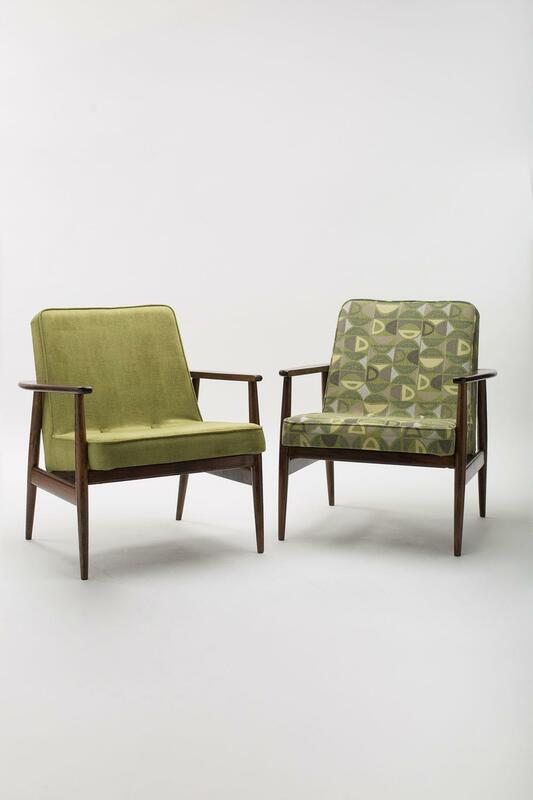 The armchair was manufactured at the turn of the 1960’s and 1970’s in the Gościcino Furniture Factory (Gościcińska Fabryka Mebli). 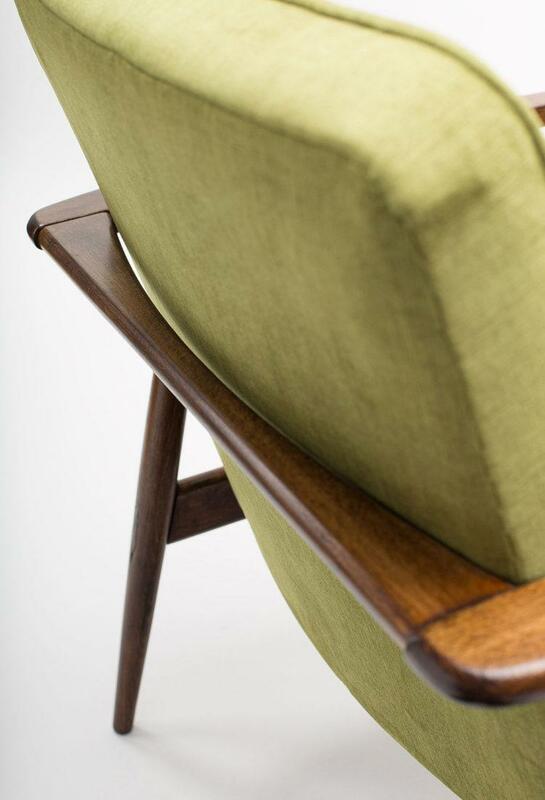 A model created by one of famous designers from the Gościcino Factory – Juliusz Kędziorek, the author of many innovative and iconic furniture designs. 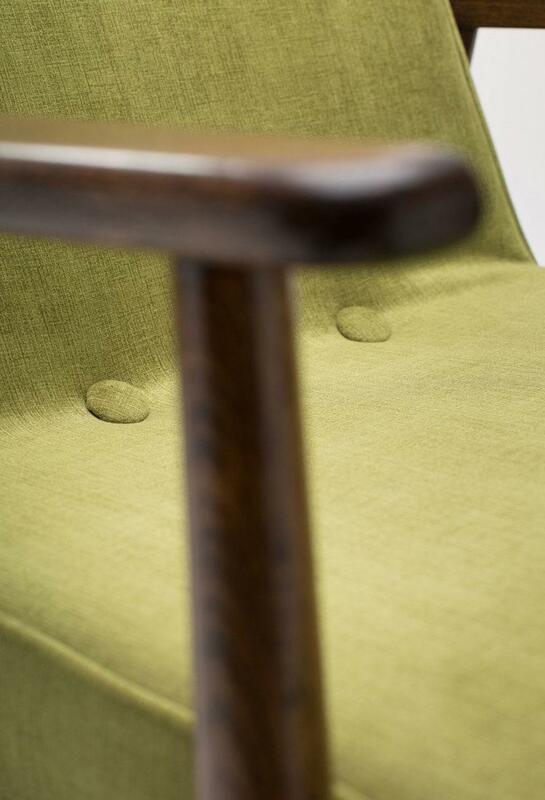 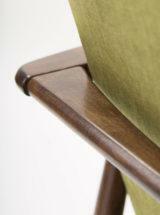 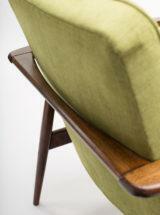 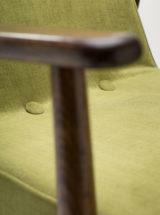 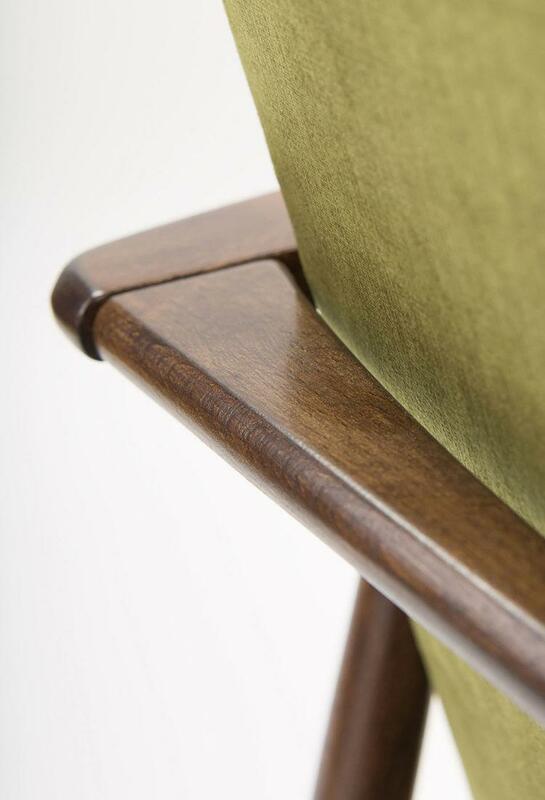 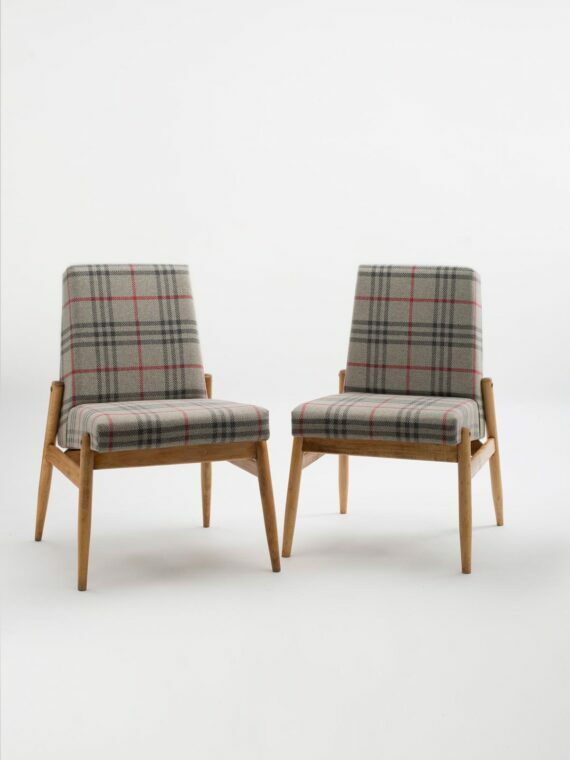 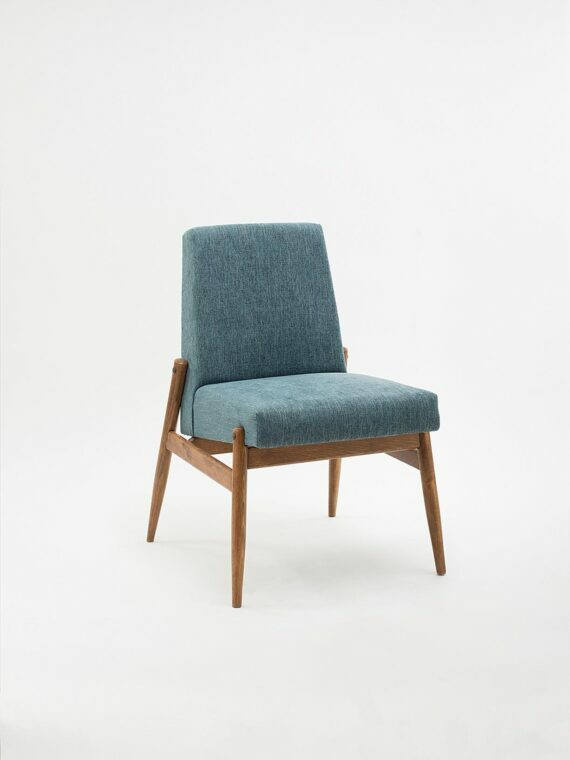 The armchair has undergone a comprehensive carpentry and upholstery restoration. 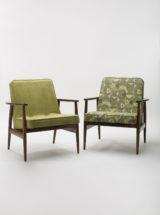 Wooden frames have been cleaned from the old varnish, re-painted with a dark brown stain and secured with several layers of new varnish. 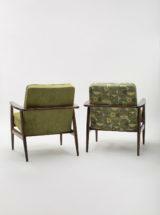 Old upholstery elements have been replaced, keeping the character of the furniture.